The irresistible medley of delectable eats, world-class Napa Valley wines, and a gorgeous landscape was the ideal inspiration last weekend as bidders from near and far contributed a whopping $18.7 million to nonprofit organizations benefiting children’s education and healthcare. 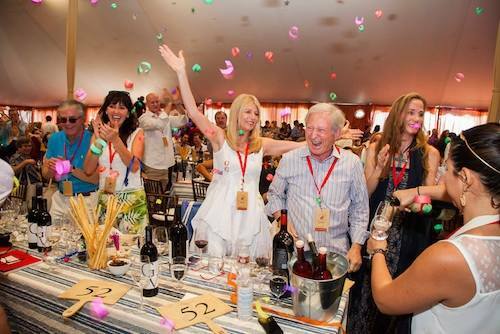 This outpouring of support is an illustration of just how powerful of an event Auction Napa Valley has become – in fact; it is the most celebrated wine event in the world and raised more this year than in the history of the Auction. Without the tireless commitment the over 1,000 vintners, chefs, volunteers, and donors offered for this occasion, the tremendous result benefiting our community would not be possible. 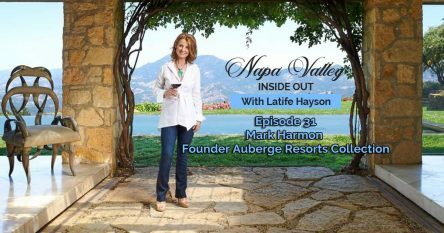 From Thursday night’s Welcome Parties and Friday’s Napa Valley Barrel Auction to Saturday’s Live Auction Celebration, the sense of camaraderie was thick in the air. 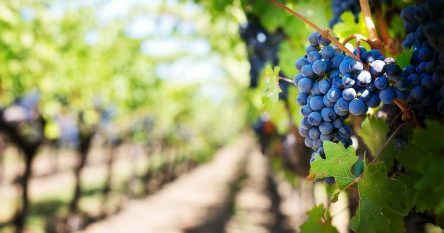 During the Napa Valley Barrel Auction on Friday, 400 bidders utilized the new mobile app that allowed them to bid, mainly on cases of the impressive 2012 vintage, whilst enjoying the outdoor marketplace. Top lots bid upon included BRAND Napa Valley, Shafer Vineyards, Continuum Estate, Gargiulo Vineyards, Spottswoode Estate, TOR Kenward Family Wines, Joseph Phelps Vineyards, Cardinale, Stone The Crows, and Kongsgaard. The Live Auction Celebration on Saturday, comprised of fifty unique lots representing the extreme appeal of Napa Valley wines, was truly the climax of the entire event. The excitement that continuously sparked throughout the crisp, white tent was certainly contagious, resulting in a total of seven lots doubled, massively contributing to the general success of the Auction. Top lots for Saturday’s Live Auction Celebration, which encompassed remarkable, rare lots of wine, “ultimate experiences,” dining and travel opportunities, and pieces of art, included Raymond Vineyards ($840,000), Mayacamas Vineyards ($660,000), Promontory ($600,000), Napa Valley Vintners and Lexus ($580,000), Opus One ($550,000), Araujo Estate Wines ($520,000), Darioush and Robb Report Magazine ($440,000), Casa Piena ($420,000), Chappellet Vineyard ($410,000), Lokoya ($400,000), and Gargiulo Vineyards, Silver Oak, and Twomey Cellars ($400,000). The Restaurant at Meadowood’s Executive Chef, Christopher Kostow, directed Saturday’s culinary showcase (and finale dinner) while the fairway at Meadowood Napa Valley hosted the Live Auction as it has done since the inauguration in 1981. 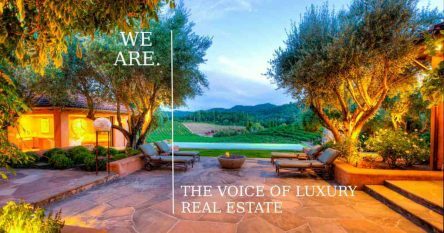 For over three decades Auction Napa Valley has employed the global status of Napa Valley wines as well as the picturesque splendor of the region to increase resources to improve the health and welfare of Napa Valley’s community. Auction Napa Valley 2015 will be held from June 4th – June 6th of next year and will be chaired by the Opus One family.